Young Toddlers are natural explorers! This energetic age group thrives in familiar environments where they have the freedom to learn through play. 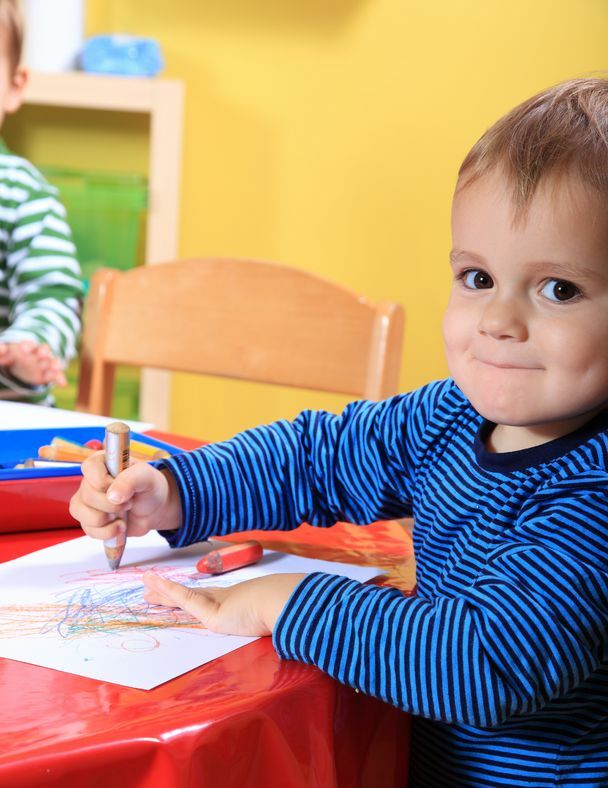 Consistency, familiarity and dependability are important concepts for one-year olds. Our teachers create an environment that encourages feelings of security and comfort during this formative year. Children are given the opportunity to explore the world around them at their own pace and to develop a sense of wonder. 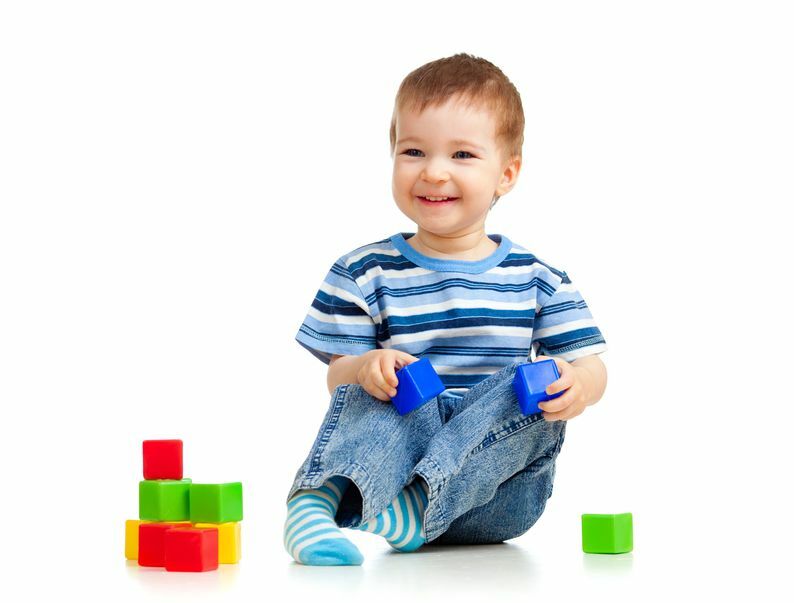 One-year olds are discovering their sense of physical self by using their fine and gross motor skills. They are discovering a sense of how things work. Your child will thrive, challenged by puzzles, blocks, chubby crayons, finger painting and role playing in the play kitchen with pretend pots, pans and food. 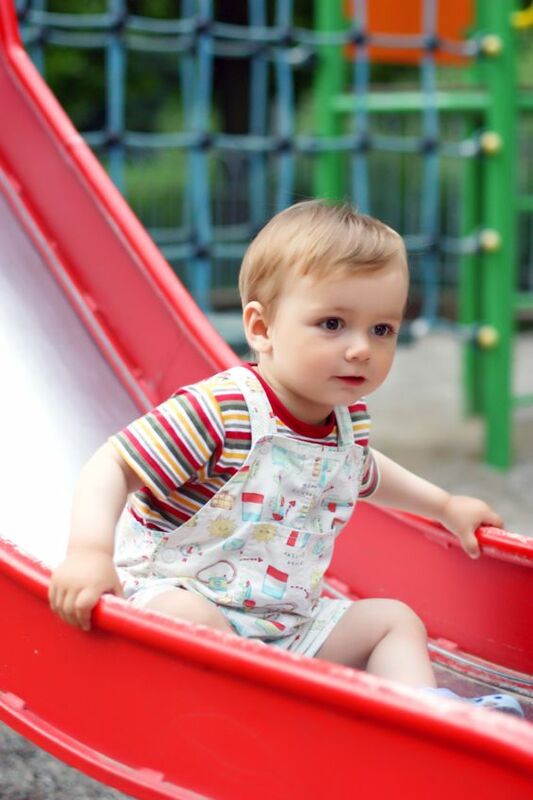 Outside play includes safe climbing on age-appropriate play equipment and healthy exercise. Children will begin to learn and appreciate valuable social skills such as sharing, taking turns, compassion, respect and developing trusting relationships. Our young toddler curriculum is specifically developed for one-year olds which gently challenges them during this special year of childhood.